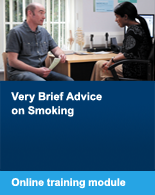 Below we have listed a number of organisations who have useful resources on smoking and health. Please click on the links below to be taken to their website. Emily's Story is a powerful film, developed by University Hospitals of Leicester and Leicester Stop Smoking Service, promoting the importance of delivering very brief advice (VBA) in secondary care and the positive impact this can have on patients and their relatives. ASH is a campaigning public health charity that works to eliminate the harm caused by tobacco. The Australian Smoking Cessation Conference 2013 is in its inaugural year and will be translating the science into clinical practice. Cancer Research UK fund over half of the UK’s cancer research and campaign on reducing the use of tobacco. The British Heart Foundation is the UK's leading charity working to end premature death from heart disease. They are involved in research, preventative activity and provide support and care to those living with heart disease. British Medical Association is the trade union and professional body representing doctors both nationally and locally. Centre for Tobacco Control Research is based at Stirling University and is the first research centre dedicated to tobacco control in the UK: it provides the research needed by policy makers and public health to respond quickly and flexibly to developments in the dynamic field of tobacco control. The Cochrane Library provides independent, high quality evidence for healthcare decision making. The Centre for Pharamcy Post Graduate Education offers continuing professional development (CPD) opportunities for the NHS pharmacy workforce. 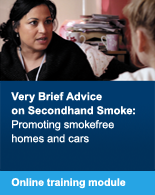 Fresh Smoke Free North East provides a comprehensive regional programme for tobacco control, developing a regional approach to reduce smoking and supporting the work of key partners including the NHS, local authorities and key regional partners. Global Bridges is a worldwide science-based initiative to help health care providers unite to treat tobacco dependence while advocating for effective tobacco control policies. London Health Improvement Board is chaired by the Mayor of London and is developing a coherent pan-London approach to health improvement that will improve the health of Londoners. 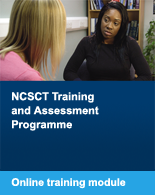 NHS Leeds was part of the original consortium working with the NCSCT. NICE is developing a series of national clinical guidelines to secure consistent, high quality, evidence-based care for patients using the National Health Service. No Smoking Day aims to reduce tobacco related death and illness by motivating smokers to quit together on No Smoking Day. Public Health Wales provides an expert public health resource as part of the NHS in Wales. Its purpose is to give people power to protect and improve health and wellbeing and reduce inequities by informing, advising and speaking up for them. Quit provide tools and information to help smokers stop smoking and young people to never start. The RCGP (Royal College of General Practitioners) is the professional membership body for family doctors in the UK and abroad. The Royal College of Midwives is the UK’s only trade union, professional organisation led by midwives for midwives and those that support them. The Royal College of Nursing represents nurses and nursing, promotes excellence in practice and helps shape health policies. The Royal College of Physicians is an independent body representing over 27,500 fellows and members worldwide. They advise and work with government, the public, patients and other professions to improve health and healthcare. Smokefree Action Coalition is a group of organisations committed to promoting public health and is committed to reducing the harm caused by tobacco. Smokefree South West is funded by all 14 Primary Care Trusts in the South West to reduce smoking rates in the South West and make tobacco use less desirable and accessible. Tobacco Free Futures is committed to breaking the cycle of addiction and exposure to tobacco in every community and turning off the tap of new young smokers. Treatobacco.net is for those working on the treatment of tobacco dependence throughout the world. It presents authoritative, independent, evidence-based information about the treatment of tobacco dependence. 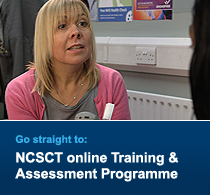 UK Centre for Tobacco Control Studies (UKCTCS) is a network of nine universities in the UK working in the field of tobacco control. The WHO Tobacco Free Initiative is part of the Noncommunicable Diseases and Mental Health cluster at WHO headquarters in Geneva, Switzerland.A WHO cabinet project, it was created to focus international attention, resources and action on global tobacco use and problems caused by that use.